Devon worships Jenna. Their friends say he's obsessed with her. Maybe he is, all he knows is that he wants to give her the world. Counting on a lucrative promotion, he bought a multi-million dollar home in Silicon Valley for her. It's all good because Jenna adores him. He's a lucky guy, and he's confident he has their finances under control. Jenna worked hard to get where she is, harder than Devon and their friends. She thought she had it all -- a soul mate, a fun job, and a gorgeous Mediterranean Revival home. Now, the economy's gone south, Devon's promotion is delayed, and Devon and Jenna are desperate to hide their sky-rocketing debt from their friends. When Jenna's best friend confronts them about the money they owe her for their share of a lavish wedding shower, jealousy and a long-buried secret explode in violence. Will their love survive their crimes? 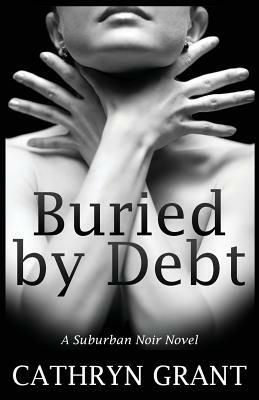 Buried By Debt - A Suburban Noir love story.